This trip explores Kathmandu Valley cultural world heritage sites of both Hindus and Buddhists. 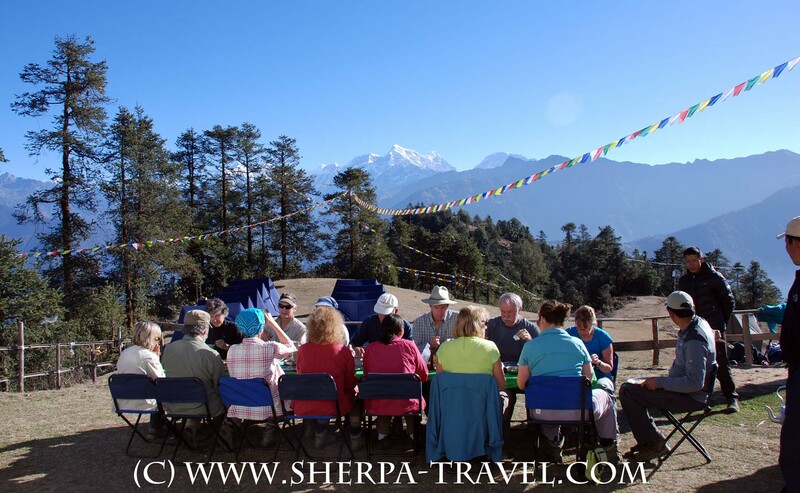 Then we will travel east by road south of the Everest region in the foothills to visit Buddhist monasteries, see Sherpa culture and their traditional way of life. 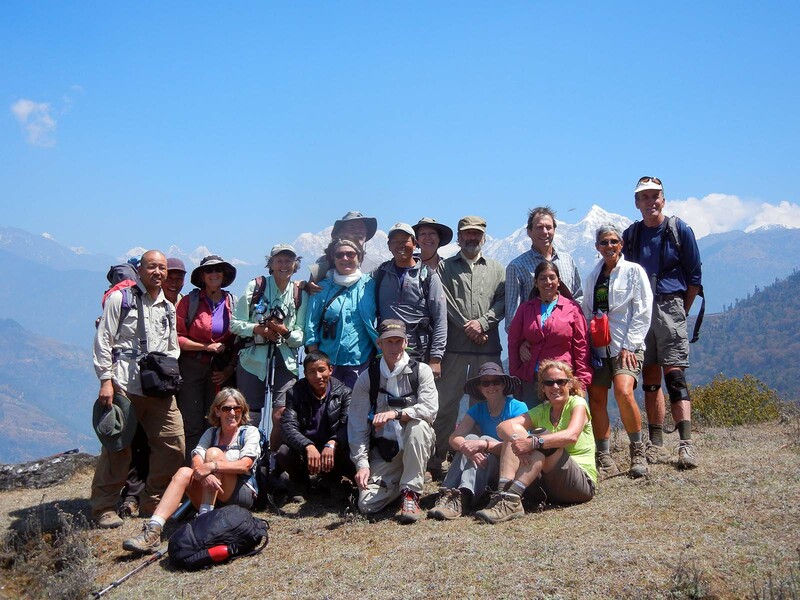 As we trek in the middle Himalaya, spectacular views of the Himalayan panorama are frequent with splendid photographic scenes. As we descend in elevation on the way to Jiri, we will observe other cultures and their way of life of the middle Himalayan ethnic Nepalese. 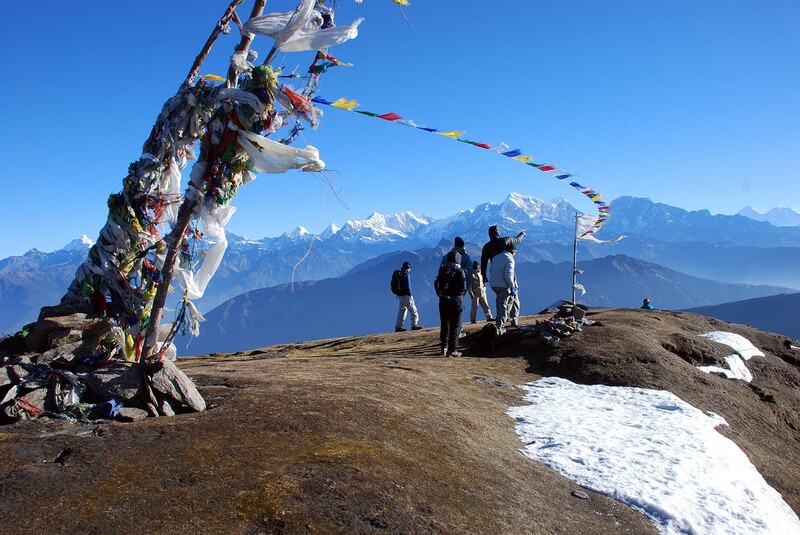 The 13,776 feet Pike viewpoint is mostly grassy, and some exposed rocks adorned with some Buddhist prayer flags. In the summer the Yaks and Naks graze here. In the month of July/August each year, the local people settled in the valleys hold a celebration on top of Pike. During this festival, all the locals come here in their finest attire with much fanfare. The blessings of the festival and the meaning it carries is to thank the god of this mountain, the earth, water and all the sentient beings for helping the well being of the people in the area. Breakfast and trek to Pike. 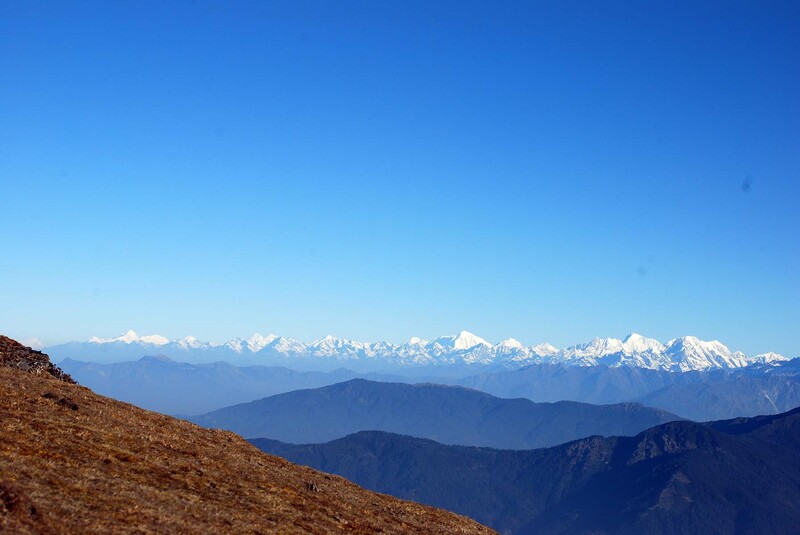 Along the way, enjoy the Himalayan panorama and scenic views. We will picnic lunch en route and overnight camping. 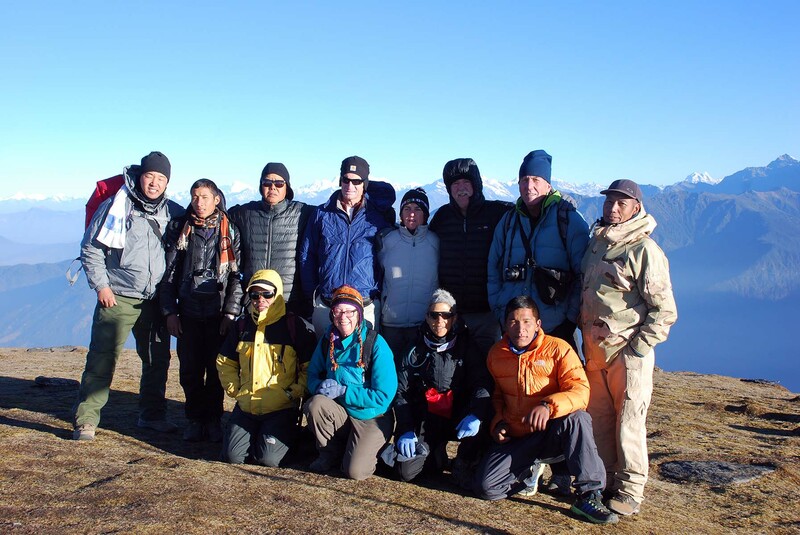 Wake-up early morning, trek to Pike summit viewpoint at 13,776ft to see sunrise over the majestic Himalayas. 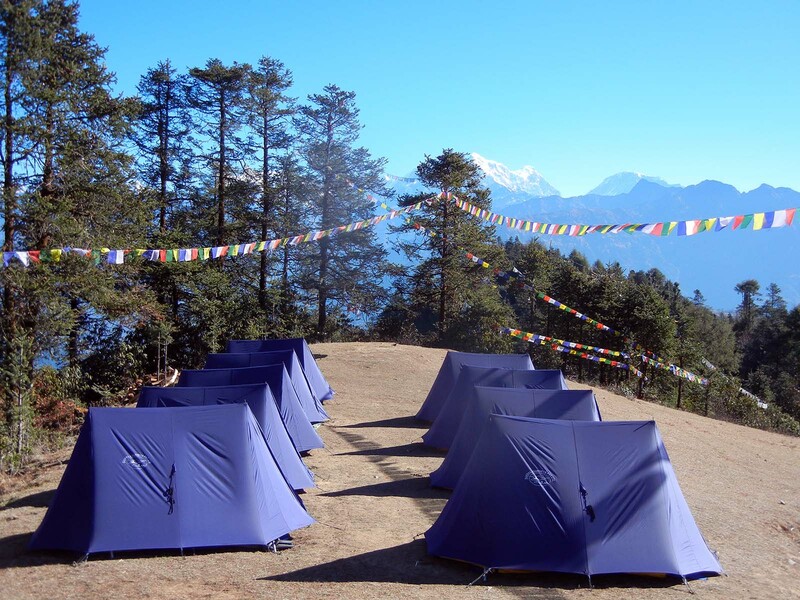 We will enjoy the sunrise and mountain panorama and return to camp for breakfast and then trek downhill. 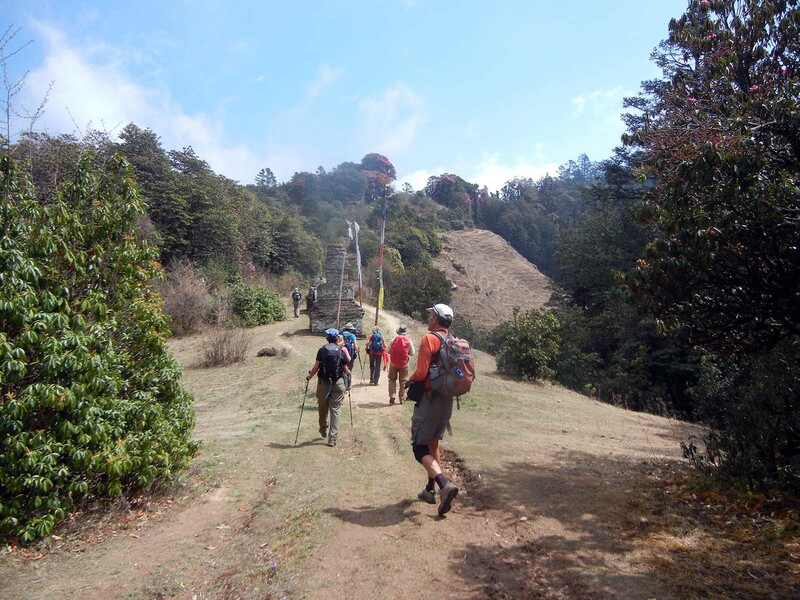 After we enjoy the great views, we’ll continue trek downhill through the fir and mixed forest to Golela village. 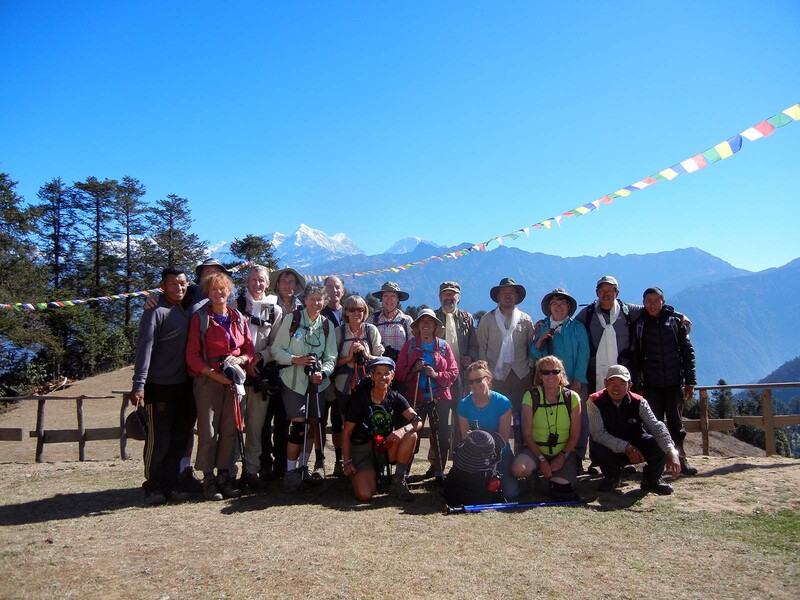 We will have lunch at Ngaur Monastery campsite and also visit the local monastery there. After lunch, we will hike some more downhill trail and then a small uphill to reach our campsite by the monastery. Overnight camping. 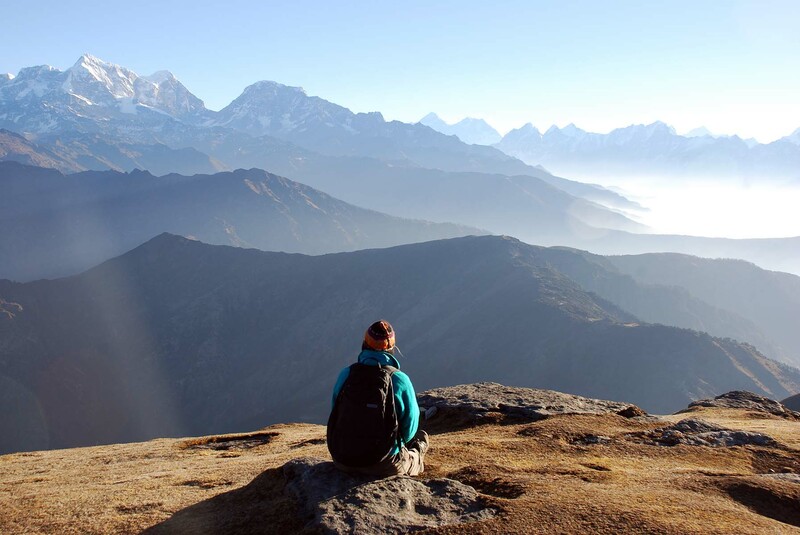 Wake up to a beautiful day with spectacular view of Numbur Himal and the surrounding scenery. Enjoy breakfast at our camp in the sun and then visit the monastery and nearby village. Remainder of the day free to rest. Breakfast and trek downhill most of the morning. 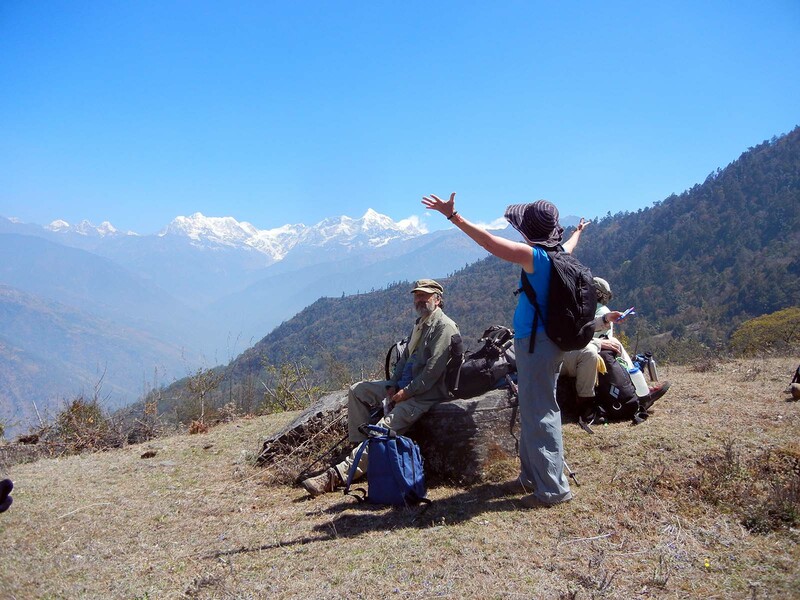 We will see spectacular view of Numbur Himal, Karyolung, and Bigphera Goshar peaks above the Likhu Khola River valley. We will have lunch by Likhu Khola riverside where we connect with the old Everest trail to Jiri road head. After lunch, it is uphill hike until we reach Bhandar. Dinner will be cooked by our cooking crew and served at the lodge dining hall. Overnight at local lodge. 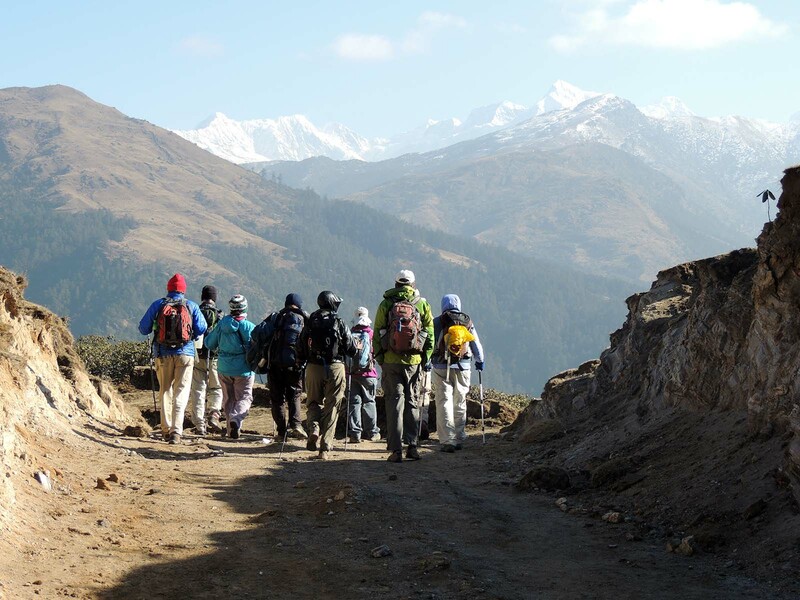 Breakfast and trek uphill to Deurali and then trek downhill Shivalaya rest of the afternoon. 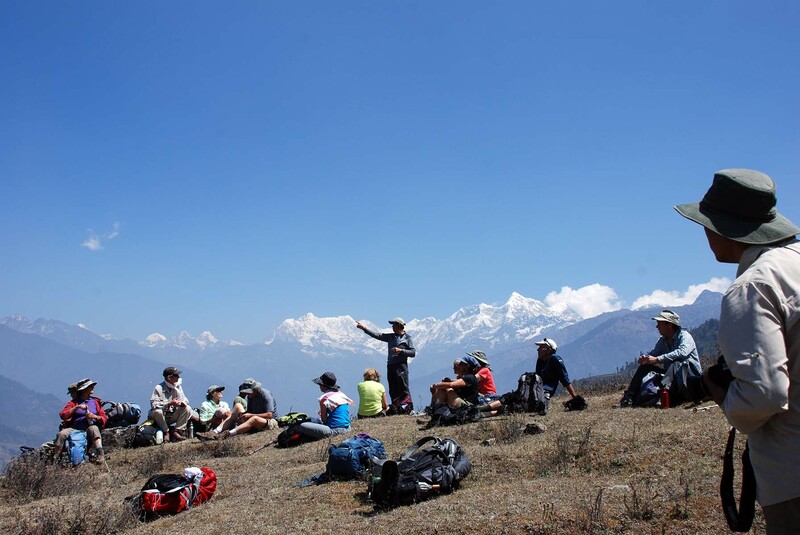 From Deurali, we will see Mount Gaurishanker and Langtang mountain range. lunch served en route. Dinner will be cooked by our cooking crew and served at the lodge dining hall. Overnight at local lodge. Breakfast and trek uphill to Mali Danda lunch and then downhill to Jiri Bazaar. Arrive, check into lodge and remainder of the day free to explore local market. Dinner will be cooked by our cooking crew and served. Overnight at local lodge. Breakfast and transfer by road to Kathmandu. Picnic lunch served along the way where convenient. Arrive Kathmandu early evening, check into our hotel. Farewell dinner with group at the hotel or elsewhere at a restaurant. Breakfast served at the hotel and day at leisure. Leisure day activities to do would be souvenir shopping, visit a site you have not seen yet, take a spa treatment or simply relax and pack for your next destination. Breakfast served at the hotel and a complimentary transfer provided to airport for your next destination flight. Our services end when you are transferred to the airport.